Braces or orthodontic treatment is required when a person’s teeth or jaws do not fit together correctly. Common reasons for requiring braces can include; overcrowded teeth, crooked teeth, gaps in the teeth, overbite, underbite or a cross bite. Orthodontic treatment can help to restore correct function of the teeth, preserve the health of the mouth and teeth, facilitate speech and improve the overall aesthetic appearance of a person’s smile. Traditionally when we think of braces we think of teenagers, but in recent years it has become quite normal for adults to wear braces. Healthy teeth can be moved at any age and now is a great time to consider orthodontic treatment to improve your smile because advances in dental technology mean that here is more choice than ever before, treatment times are getting shorter and becoming more affordable. Braces work by applying a constant, gentle pressure to the teeth which over time moves the teeth into a better position. This can be done through the traditional orthodontic method of metal ‘train-track’ braces or more people, particularly adults, are opting for clear braces or aligners such as those used in Invisalign or Six Month Smiles treatments. 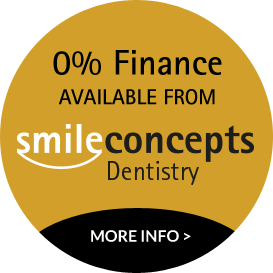 If you would like to improve your smile and have straighter teeth please get in touch to book a free consultation. Our team of expert dentists can advise whether you are suitable for treatment and what options are available to you.